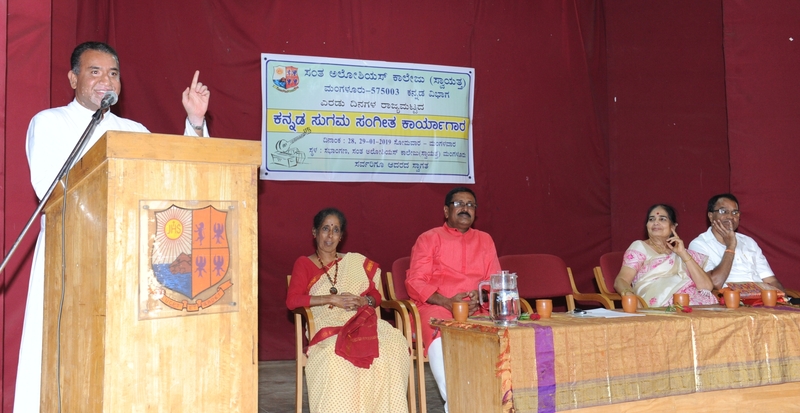 The inauguration of the two-day State Level Kannada Light Singing Workshop organised by the Department of Kannada, St Aloysius College (Autonomous) was held on 28 January, 2019 in the College Auditorium. 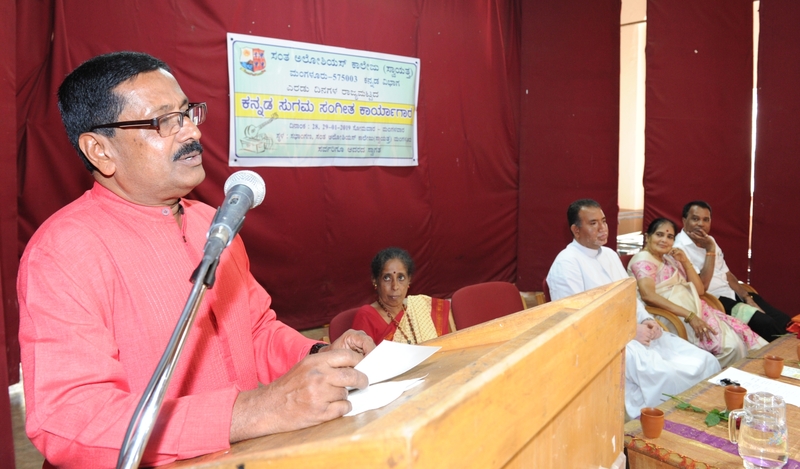 The workshop was inaugurated by Dr R. Narasimha Murthy, Former Professor of Sri Gokarnanatheshwara College, Mangaluru. 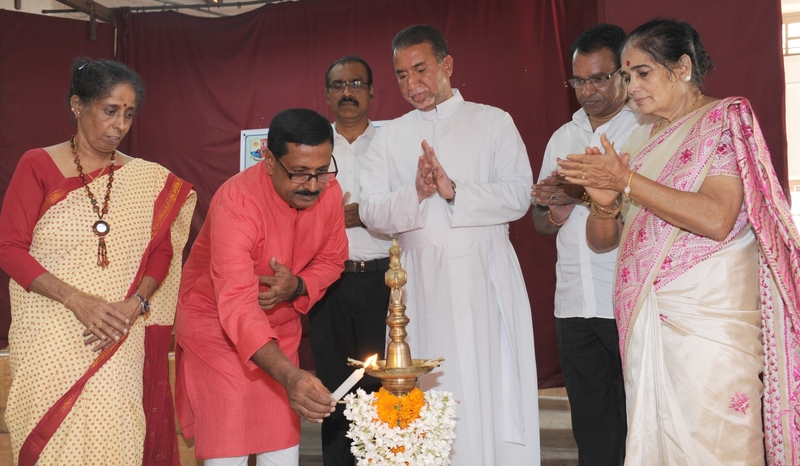 Principal of the College, Rev Dr Praveen Martis, SJ presided over the programme. Renowned Kannada Singer NaDoJa Dr B.K. 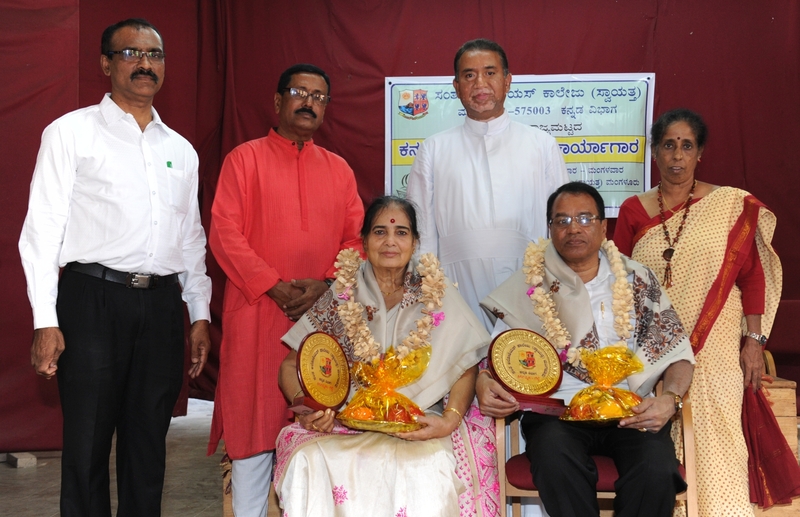 Sumithra and Sri B.V. Srinivas, a well known Film Music Director were the Resource Persons. 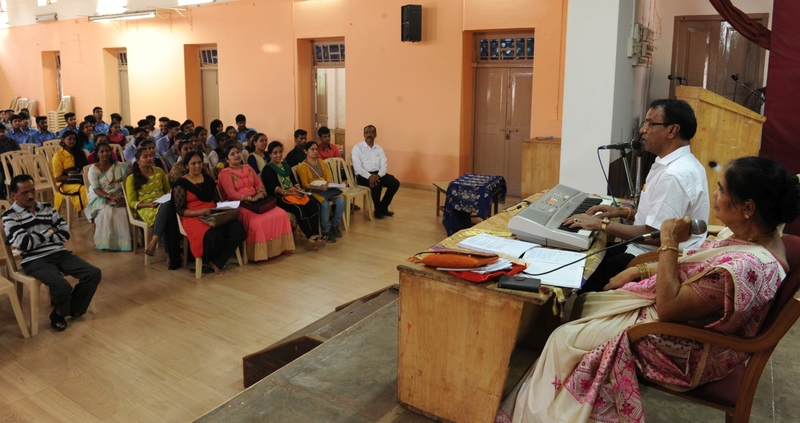 Dr B. K. Sumithra said that “Music is like an ocean, we must fetch it in our hands.” She also said that this noble music must be reached to the rural music lovers and learners. 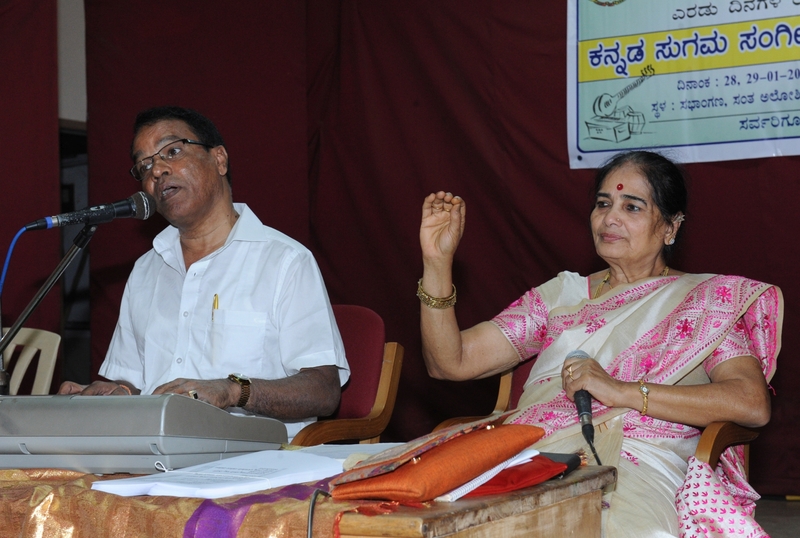 Dr Narasimhamurthy, in his inaugural address gave a survey of the origin and evolution of Light Music in Kannada. Presiding over the inaugural, Rev. 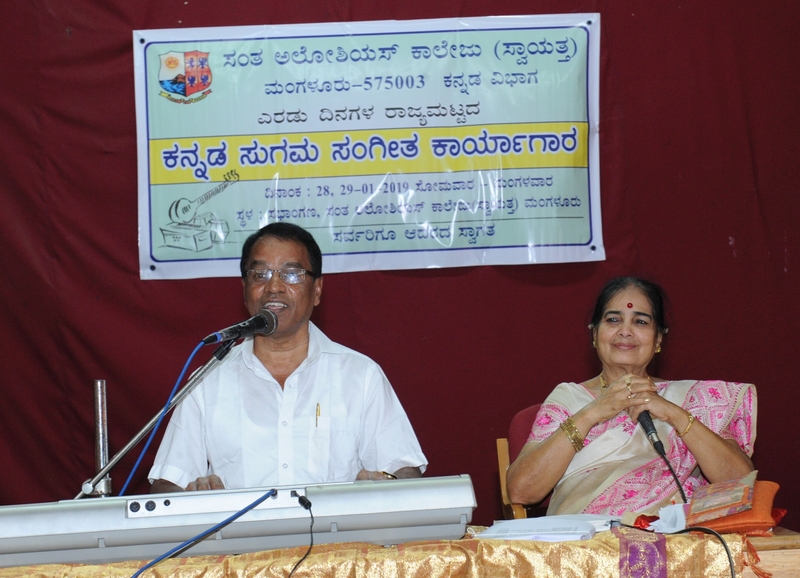 Dr Praveen Martis acclaimed the achievements and passion of the resource persons towards Kannada Light Music. He said that they have created a silent revolution in the field of music. He urged the students to make the best use of the workshop and learn light music from these great stalwarts. This unique workshop is organized for the benefit of students of Colleges and University including teachers for two days in the College Auditorium. 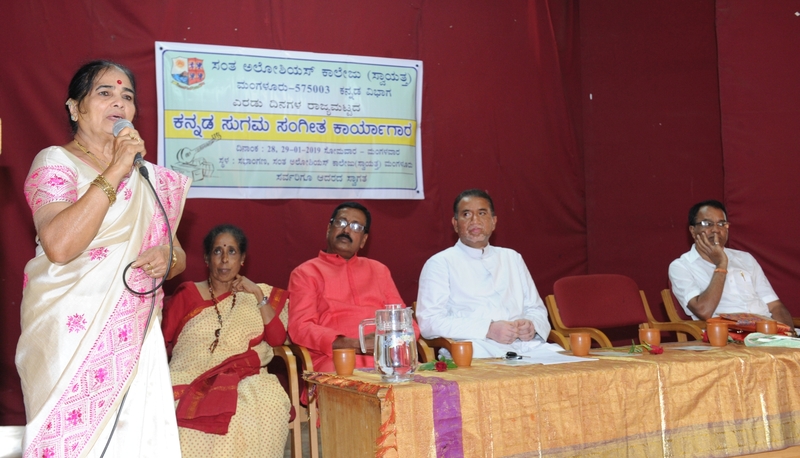 Dr Saraswathi Kumari, HOD of Kannada introduced the guests and welcomed the gathering. Dr Vishwanatha Badikana compered the programme. Sudha Kumari proposed the vote of thanks.